Welcome from HomeRiver Group™ Chicago. We have been managing residential properties in the Chicago-Land for more than seven years. Our customized approach to rental property management has positioned us as one of the premier rental property management companies in the Chicago-Land. 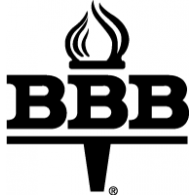 With more than 500 rental properties currently managed and accreditation with the Better Business Bureau, and NARPM, you can be assured that your investment property rests in the hands of a solid company with staying power. Benefits you can expect from HomeRiver Group™ Chicago include and are not limited to: 22 full time employees with expert knowledge of the rental industry who keep communication at the forefront of every issue, a quick response maintenance staff and detailed accounting for your rental property. This will ensure a maximum return on your investment and optimize your tax benefit. In short, we take your investment as seriously as you do. Benefits you can expect from HomeRiver Group™ Chicago include and are not limited to: 22 full time employees with expert knowledge of the rental industry who keep communication at the forefront of every issue, a quick response maintenance staff and detailed accounting for your rental property. This will ensure a maximum return on your investment and optimize your tax benefit. In short, we take your investment as seriously as you do. Thank you for your inquiry into HomeRiver Group™ Chicago. We look forward to getting to know you and your rental property. Please review the services we offer and the reasons you need to go no further in selecting a rental property management company. Call or email today to sign up with the only rental property management company you will ever need. Monthly Statements and much more! Call or email today to sign up with the only property management company you will ever need 630.324.4267 or info@LettsPropertyManagement.com. Why does my beginning balance not match my last statement? Unless otherwise requested, we email statements as soon as we process payments to you, the owner. Usually this takes place in the first half of the month. We continue to manage your property all month so sometimes there will be activity that takes place after you receive your initial statement that will change your ending balance.